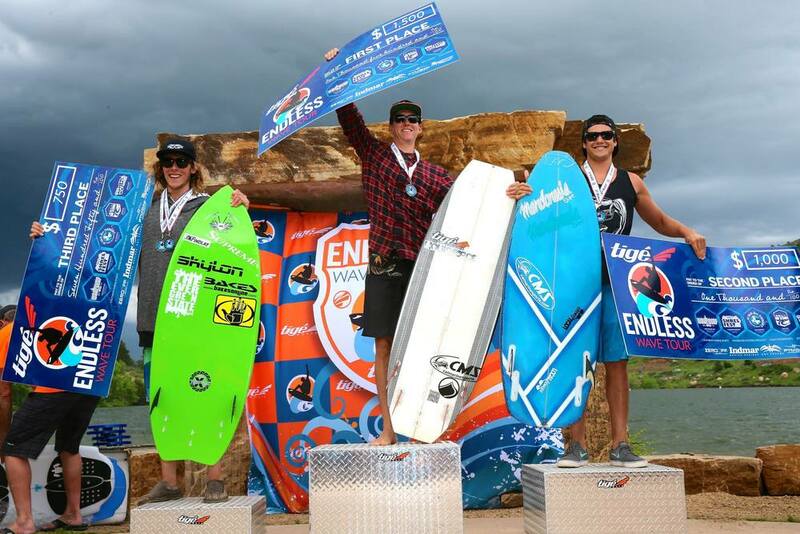 The second stop of the Tige Endless Wave Tour took wakesurfers back to Horsetooth Reservoir in Fort Collins, CO for the 2nd annual WWS Summer Shredfest. Riders of all ages and skill levels enjoyed a weekend of pro rider clinics, Tige test drives, board demos, endless waves, and good times! One stand out rider from the outlaw division WOW'ed everyone with a stellar run. 14 year old Parker Payne took it up a notch with this run a 720, air reverse, shuv in, shuv out and end the run with a big spin! None of the pros even hit a big spin this weekend! Next stop on the Endless Wave Tour will be in San Angelo, TX at Wake The Desert Thursday, July 17, 2014 – Sunday, July 20, 2014.